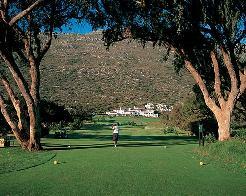 Steenberg Golf Course was designed and built by one of South Africa's leading golf course architects, Peter Matkovich. 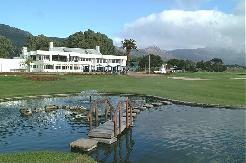 The private Steenberg Golf Club is available to hotel guests, members and their guests and is ostensibly a residential golf estate. 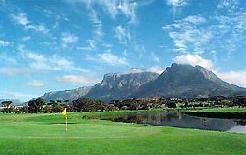 The golf course has been designed to take full advantage of natural features and hazards and is enveloped by mountains and vineyards in the Constantia valley, a 25 minute drive from the city centre. The design of the central clubhouse is harmonious with the historic architecture of the estate. 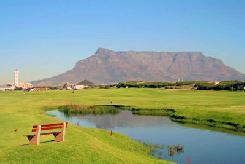 The 18 hole championship golf course meanders leisurely through the Steenberg vineyards, pine forests and gentle waterways. 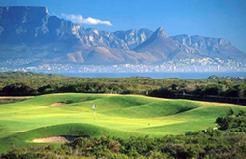 The course features four distinct areas: Wetlands, Parklands, The Cape Flats and Fynbos. 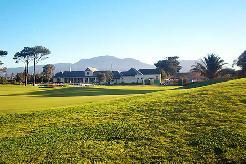 With five different tees, the course can be enjoyed by all, from championship to junior level. 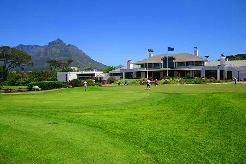 Many golfers envy the superb condition of this soft spike course and it is widely renowned for having the best greens in Cape Town. There are also a number of practice areas, including a driving range, chipping area with sand traps and a large putting green. The first six holes of the course meander through gentle, manicured parkland where, in some instances, tee shots will be played off raised tee boxes amongst the vines. The course then moves into the wetlands, which includes the testing par-three 7th hole played to a green surrounded by water. It then enters the Heathland section where white sands "islanding" the fairways are a natural hazard. The round is completed under the splendour of stately oaks.